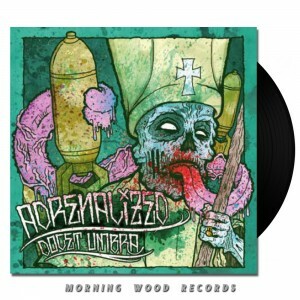 Adrenalized’s “Docet Umbra” LP out today! Ladies and gentlemen; we’d like to present to you Adrenalized‘s “Docet Umbra” LP! Their ripping second album is now finally available on vinyl and is a must have for anyone into melodic skatepunk. These units are now for sale here and you can get them in standard black (300 made) or limited red (100 made). Don’t hesitate too long, because as we say in The Netherlands: “they go as warm sandwiches over the counter”. ← New Blowfuse music video coming out on August 25th!